Sign up to Try It! 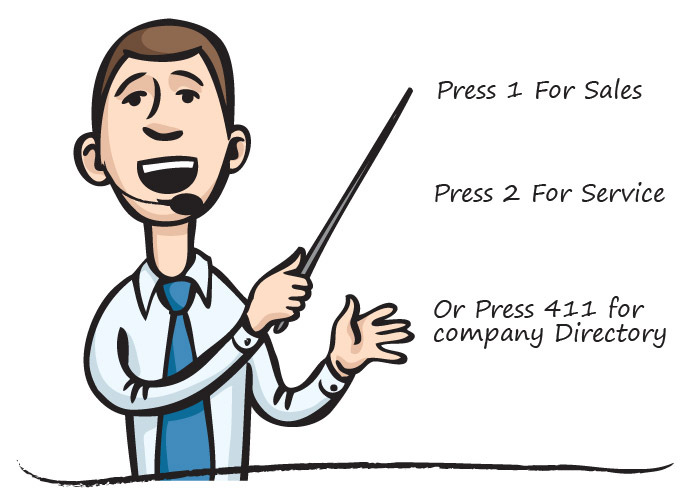 The auto attendant works like your virtual receptionist - answering and forwarding your calls 24x7. The auto attendant greetings can be customized to play based on your hours of operation – a standard greeting that plays when your business is open and one that plays after hours. Direct your callers to the right department or employee by using multiple extensions that will forward to the right recipient. Simply tell them which extension number to press to reach the person they need. An auto attendant can also be used to promote your business. Provide your callers information about a new product, service or a new office location while they are waiting for their call to be forwarded. This is one of the most successful and cost effective ways of promoting a business. Use an auto attendant and greet your customers with customizable professional greetings 24x7!